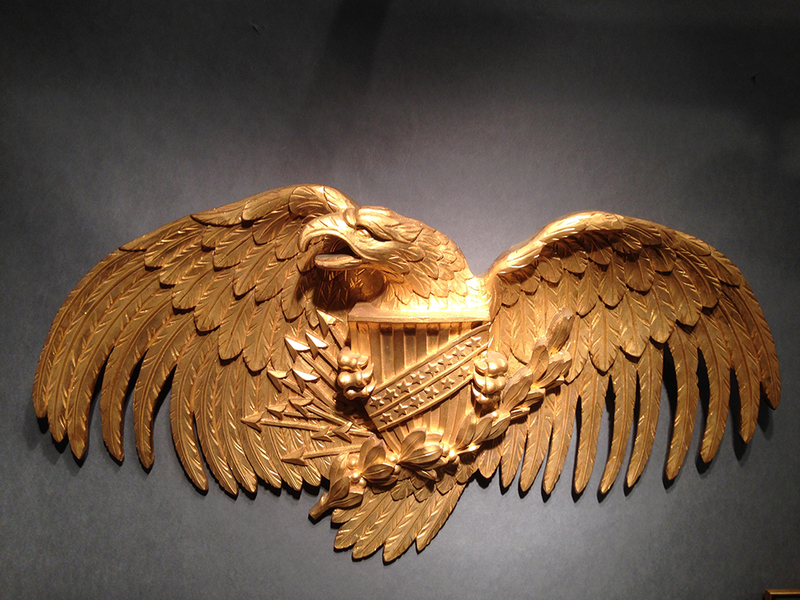 Port N' Starboard Antiques 53 Falmouth Rd Falmouth, ME 04105 mleslie@maine.rr.com www.portnstarboardgallery.com Carved Spread Wing Eagle Plaque Extraordinary sculptured feathers in original gilded surface. American, unsigned, circa 1930’s. Provenance: Stillington Hall, Gloucester, MA (built 1925-1926). 39” Long, 20 ½” High.